One of my New Year resolutions was to cut out refined sugar. Another one of my resolutions was to stick to my resolutions beyond January. So here I am in February with lots of sugar cravings which means I’m making a lot of date-based desserts lately (I do make an exception for minimal quantities of very dark chocolate, which does have some refined sugar). That means a lot of date-cacao balls and these almond butter stuffed chocolate covered dates. These are even easier to make than my date-cacao balls and soo delicious. My husband is not a dessert guy and I have my husband hooked! You can easily substitute the almond butter with any other nut or seed butter. I’ve tried a batch with some black sesame paste and it is TO DIE FOR! 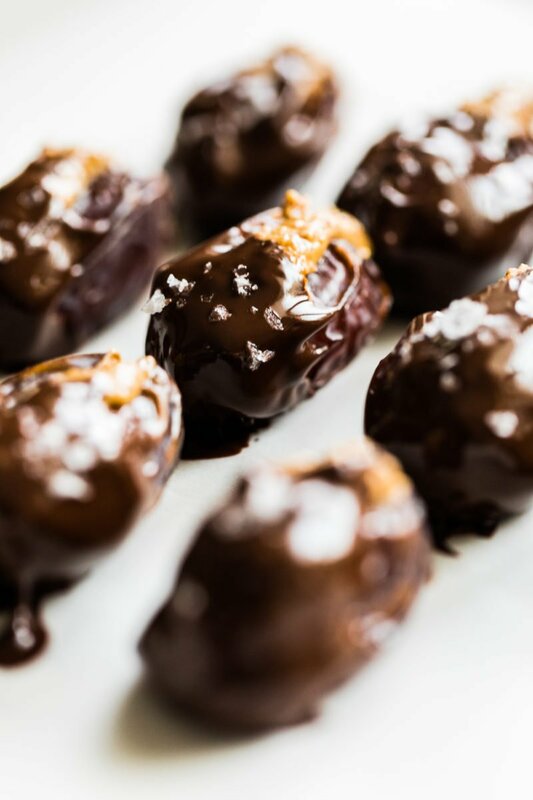 Almond butter stuffed chocolate covered dates with flake sea salt. Slice each date lengthwise on one side and remove the pit. Fill each date with a small scoop of almond butter, using your fingers to mold the date back into its original shape. Microwave the chocolate in a bowl in 20 second intervals, stirring in between each 20 seconds until the chocolate is melted. 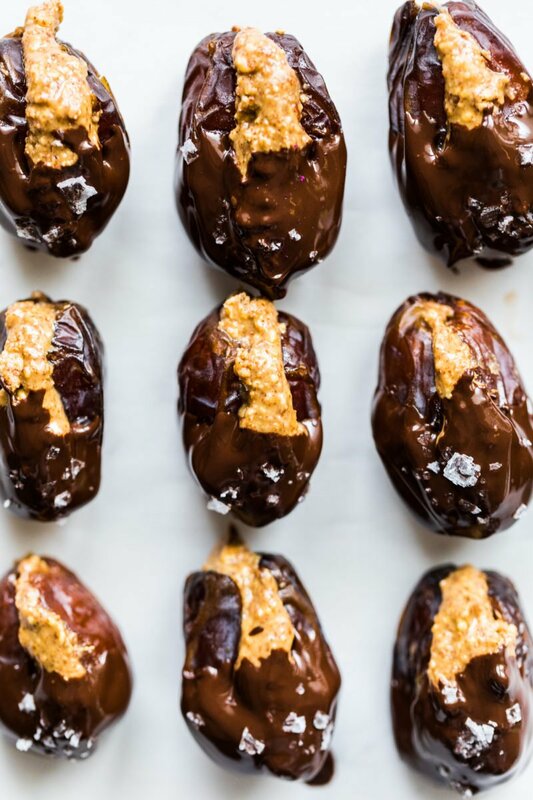 Dip each date into the chocolate and place on a parchment lined baking sheet or plate. Sprinkle the tops with flake sea salt. Store in the refrigerator.